Former athletes and older trainees over the age of forty, frequently wish to maintain a satisfactory level of strength and conditioning. Often however the reason for this is to enhance their quality of life outside of the gymnasium. We still want to look good, feel good and preserve our health and strength, whilst functioning at as high a level as possible, in order to enjoy life to the full. 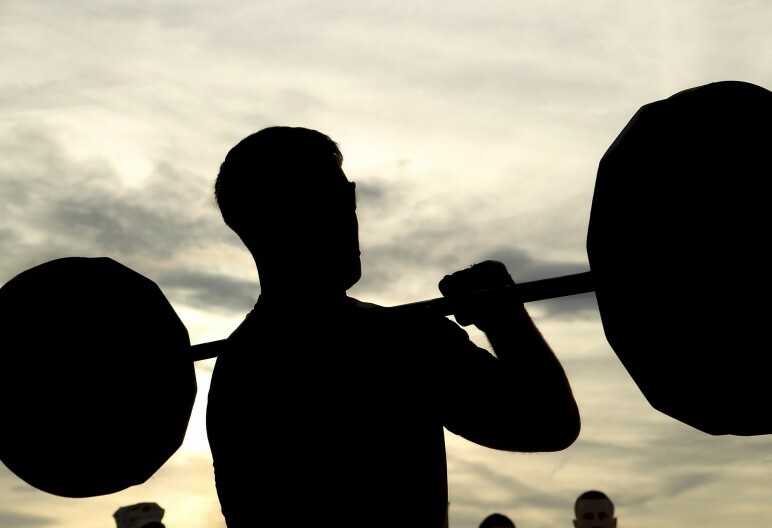 We may still maintain a competitive nature, but no longer need, or want to grind out repetitions in an attempt to nail a 200kg bench press, or that illusive 300 kg deadlift. Aesthetics, whilst still likely important, are generally subordinate to health. At least for me that’s how it is, and as it should be. Weight training for health and strength, is one of the most effective means of attaining increased longevity, and avoiding chronic illness. We are presently seeing athletes competing much later in life, especially in the popular endurance based activities, such as long distance running and crossfit. The middle-age mind-set is evidently changing, older individuals are now reaping the rewards of increased strength and conditioning. Gone are the days of “growing old gracefully”, or “too old for strenuous exercise”. Chronological age is now just a number, and no longer associated with, or an excuse for, putting your feet up. Nor should it be. Inactivity accelerates the process of aging. It is an unfortunate fact that inactive adults experience a 3% to 8% loss of muscle mass per decade, accompanied by a resting metabolic rate reduction, and fat accumulation. Getting old is inevitable, but performance decline as a result of lean tissue loss, can be radically reduced by effectively adopting resistance training. This training can utilise external resistance or our own body weight, or a combination of both. Indeed, maintaining overall body health and strength, alongside a muscular physique, can be acheived fairly simply, especially if a foundation has been built in our earlier years. Even approaching a sixth decade, muscle memory is a wonderful thing, and muscle built previously with heavy weights for example can be regained within a few months even using machine training. Although regaining muscle that has previously been built is much easier than acquiring new mass, especially in more advanced years, you will still need to work hard. Whilst I have never been a big fan of machine training, I was recently forced to use pulleys and machines, because of problems handling barbells due to Rheumatoid Arthritis. I ceased training completely for many months, before I was initially diagnosed with the disease, and consequently lost a significant amount of muscle mass. Ninety days on, after resuming training, albeit at a lesser intensity than formerly, and predominantly on machines, I had regained my former levels of muscle mass. If you are a new to resistance training and in advanced years, aquiring new muscle mass and increased strength will be much harder. The reason for this is primarily the decline in the hormone testosterone associated with increased age. Lifting weights however, is one of the best ways the aging imdividual can build bone density while also stimulating testosterone release to maintain muscle mass. Training intensely with heavy loads utilising basic compound movements is the most effective means to accomplish these goals. As they become older however, many trainees have a propensity to increase workout duration at the expense of intensity. Workouts can then become longer and slower, as weekly volume becomes the focus of training. This is a mistake. The aging trainee needs to do just the opposite in order to optimise workout benefit. Whilst a strength decline as we advance in age is inevitable, even in physically active individuals, the rate of decline can be significantly mitigated against, by consistent and appropriate use of resistance training. Unfortunately, there are some compromises that life demands with the onset of middle age, and cessation of really heavy lifting and high volume training are usually two of them. This however is not a problem. To optimise our health and strength, those of us who are past their prime, or no longer serious athletes, can simplify our workouts whilst maintaining their effectiveness. A few basic moves are all that is necessary to perform. We need to employ primarily low volume, but high intensity workouts. There is no need for complex programming. Indeed for older trainees size and strength can be maintained by training just twice weekly, utilising preferably compound barbell moves. These movements need to be worked as intensely as possible to derive maximum benefit. My simple workouts these days remain effective at maintaining muscle, and have hitherto negated any significant decline in muscle size, although admitedly there has been some reduction in my levels of physical strength in recent years compared to my halcyon days. Progressive resistance should still be used where possible, but remember that exaggerated focus on premature weight progression can be detrimental, if it leads to degradation of exercise form. This is not usually much of a problem with older trainees no longer continually striving to acheive personal best training loads. In any case, for any trainee, exercise control and form, should never be compromised to enable more weight to be added to the bar. It is counterproductive – always check the ego. When you are younger you think that you are invincible, I certainly did. The thought of injuries rarely, if ever crossed my mind, until after a few years one happened. It should go without saying, especially for older trainees, never use anything other than proper exercise form, and safe training protocols. The following movements may be all that is necessary to develop or maintain health and strength, and a great looking physique into your later years. Monday – Heavy Squat, Standing Press, Chin Ups. Thursday – Light Squat, Bench press, Deadlift. If Chin-Ups are too difficult they can be substituted with Pulldowns or Bent Over Rows. Depending on priorities there are numerous set and rep schemes available to use. Add some conditioning work as you see fit, and are comfortable with, if you wish.